Meghan Markle & Prince Harry are expecting a Baby! The Duke and Duchess of Sussex, Meghan Markle and Prince Harry are expecting their first child! The Kensington Palace shared the news on Twitter, saying that the baby will arrive spring 2019. The couple wedded in May 2018, in a lavish $2.7 million ceremony. We’re so excited for the parents-to-be! Complex Magazine : Khloe Kardashian Cover Girl! 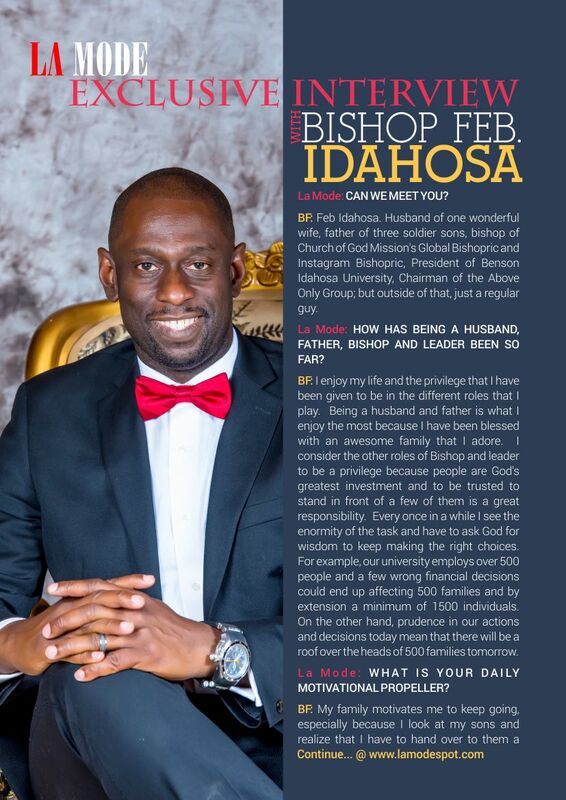 La Mode Magazine: Exclusive Interview With Bishop Feb Idahosa!